AVK are the largest supplier of Data Centre & Financial sector critical power solutions in the UK, with 4 offices throughout the UK and Ireland. 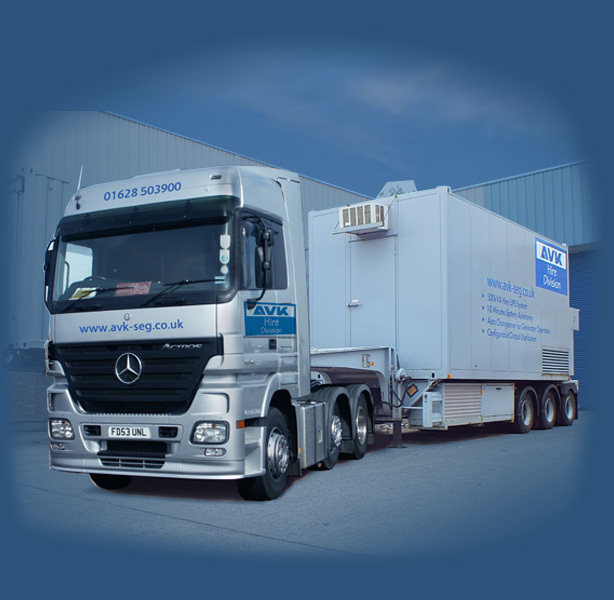 For over 30 years we've been providing Generator & UPS solutions for mission critical services & systems. Since our founding in 1989, AVK have had continued steady and consistent growth, not only in size, but also our reputation. We are trusted by many of the UK's largest Blue Chip companies to design, install and maintain 100% power integrity to guarantee their operations when mains power fails. AVK has a unique capability for design, manufacture, installation and on-going maintenance of standby power systems containing UPS systems and standby diesel generators. 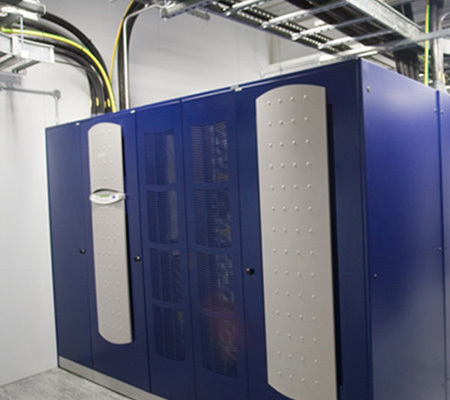 We provide expertise in the design, planning and implementation of power systems projects in all major market sectors ranging from Data Centres, Banking & Finance and Telecommunications through to Industrial & Public from standard configurations to special applications. It is our aim to provide maximum support to our clients coupled with reliable, high quality products delivered on time and within budget, working closely with you to ensure an efficient and effective system design. 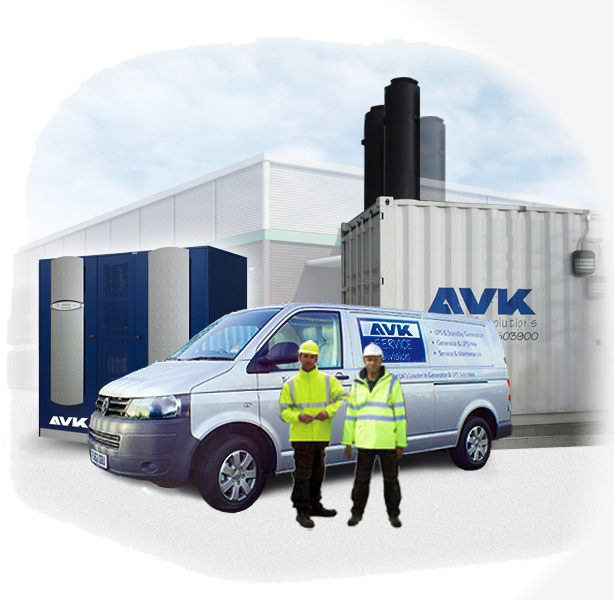 AVK are the UK's leading provider of critical power systems and maintenance. Specialising in all aspects of the design, planning, implementation and on-going maintenance of critical power systems. 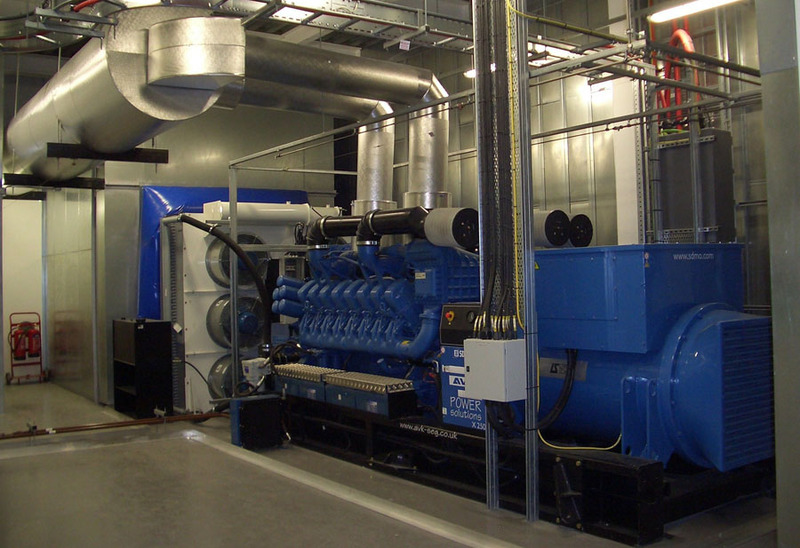 We work with many of the UK's leading companies delivering total critical power solutions. AVK provide expertise in the design, planning and implementation of power systems projects in all major market sectors. We are experts in state-of-the-art solutions for today's demands for reliability and efficiency. We offer full design & consultancy for your critical power system project - no matter the scale or how challenging. We can design any system containing UPS systems, standby generators, switch gear & control systems around your requirements, in the present and for the future. Our project management team can facilitate a smooth and pain-free installation liasing closely with you & your representatives. We provide full onsite services from offload & position to electrical and mechanical engineering to commissioning and handover to you, or your client. UPS & Generators are sophisticated & high value pieces of equipment - our nationwide service team are available 365 days a year, anytime of the day or night to ensure your investment, & your business can continue to work without interruption when you need it most. THE WAY IN WHICH WE WORK AND LIVE NOW MEANS WE REQUIRE ‘ALWAYS ON’ POWER. CONTINUOUS POWER IS ESSENTIAL TO MOST OPERATIONS, WHETHER IT BE A FACTORY, FINANCIAL INSTITUTION, DATA CENTRE OR HOSPITAL - REVENUE AND LIVES ARE AT RISK. As the UK's leading provider of critical power, our comprehensive product range covers all your power protection & needs and more. Please see below for information on our Diesel generator, UPS ranges and our Power protection services. 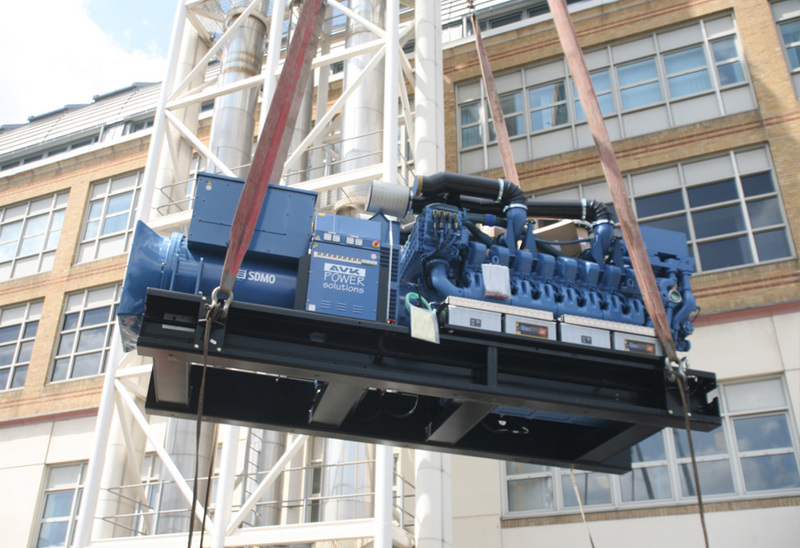 UK Leaders in standby diesel generator design, supply, installation & maintenance. For mission-critical systems and facilities where 100% power is vital for 100% of the time, a backup generator power system is essential to the continuous power delivery during times of mains power failure or outages. Where a UPS system will protect power to your critical system, for a short period dependent on battery autonomy, a standby generator will, when longer outages occur, protect your equipment for much longer periods of time from hours to days or even weeks dependent on fuel storage. 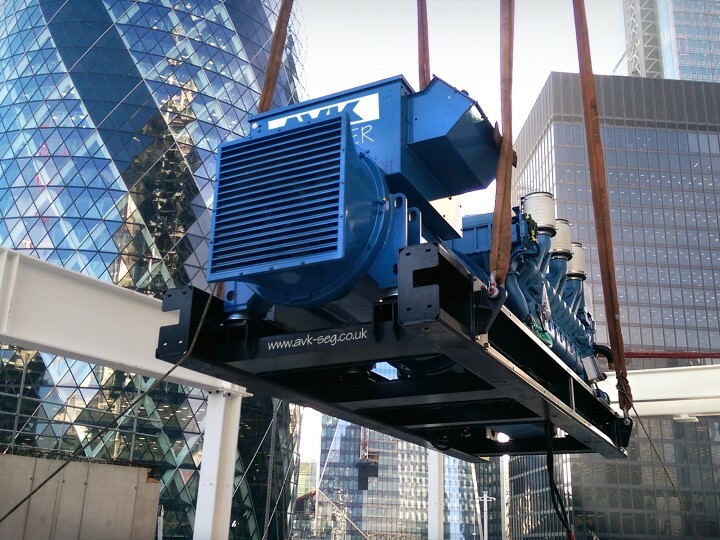 AVK have 30 years experience and expertise in the supply, installation and maintenance of diesel standby generators and genset packages to the UK market. Whether you require standby diesel generator to provide you with power generation during a mains power failure or a prime power diesel generator set to generate your power off grid, our range covers all business requirements from single 5kW generators to multi-module generators providing 3MVA power. We take pride in each and every critical generator power system and turnkey project solution we deliver - from Data Centres, Banking & Finance and Telecommunications providers, to Hospitals, Airports and Public Transport - anywhere where constant power is required to maintain normal business operations without risk to data, machinery, financial loss or even lives, AVK generator solutions keep the lights on for business. UK Leaders in the best UPS system design, supply, installation & maintenance. Highly Efficient, Technologically advanced UPS Systems for Data Centres, Hospitals & Telecommunications. Mission-critical systems and facilities rely on uninterrupted power - even a small power outage can have disastrous consequences. AVK UPS Systems provide the best power protection during shorter periods of mains power failure, becoming a critical bridge between your main power source and backup generator system. Where a standby generator will take over and protect the load for longer durations of time, a UPS system acts as the first line of defence against loss of power because it is able to react instantly to outages whereas generators need several seconds of time to come 'online' leaving a critical power 'gap', which a UPS system effectively bridges. We take pride in each and every critical UPS system we deliver - from Data Centres, Banking & Finance and Telecommunications providers, no matter what the size of your business, AVK will advise you on the most suitable UPS for your operation. We understand that protection of your critical systems and data is vital to your success. 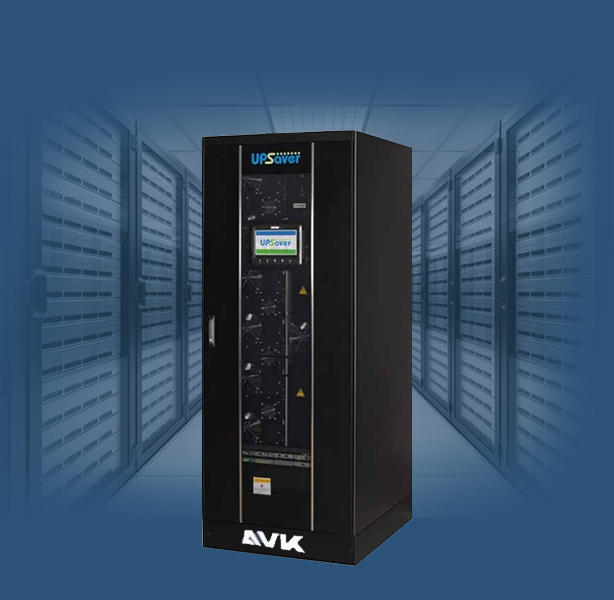 AVK UPS systems are designed to provide years of low-maintenance protection, keeping your power supply constant - whether it’s running critical processes or safeguarding servers, our UPS range combines the latest in technology and efficiency, resulting in the lowest operating costs in the industry. 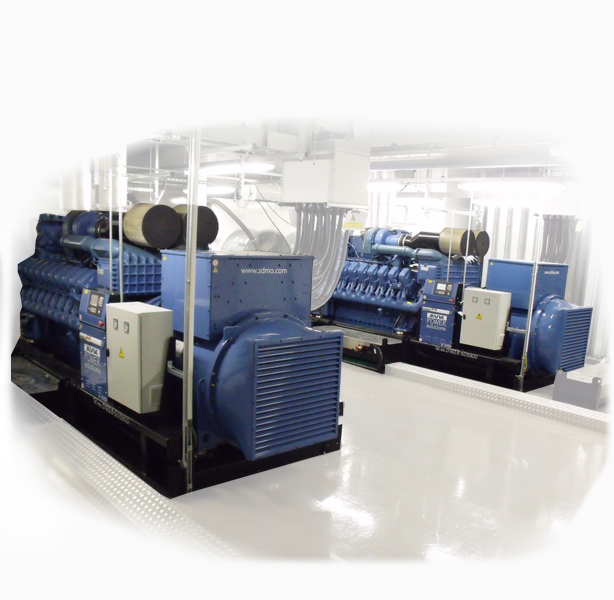 Proactive Maintenance services for UPS & Generator systems. AVK deliver proactive critical power service & maintenance support to keep your business moving forward. Your business has wisely chosen to invest in protecting it's power if the mains supply fails - but can it guarantee that your standby equipment, UPS & Generators will function correctly at your time of need? The full potential of your back-up power system will only be realised at the time it's needed most, if for any reason it should fail, then any investment made to protect your business will be eroded way by every moment it loses through interupted operation which could prove costly. Put simply, a back-up power system that doesn't perform as desired when needed most is no ptotection at all. At AVK, we understand that the only acceptable amount of downtime is ZERO. Your business depends on it and so does our reputation. With regular preventative and essential engineer service & maintenance visits we aim to identify faults or problems before they lead to a critical failure, ensuring your equipment is fit-for-purpose, guaranteeing you back-up power for today, tomorrow and the future. AVK have 30 years experience in all sectors of business from Data Centres to Hospitals and are able to offer the most competitive and bepsoke maintenance plans based around your requirements. With a dedicated service division and a nationwide network of technical engineers and support staff on call, we promise the very best in critical power maintenance. Temporary Power Protection for your business and operational needs. AVK can supply critical power hire. Whenever you need it. Wherever you want it. Long or short term UPS & Generator power rental from AVK. We realise that for many businesses, projects and one-off events, a hired critical power backup solution provides flexible, dependable power protection at an affordable, predictable cost, inline with short or long-term business plans and budgets. 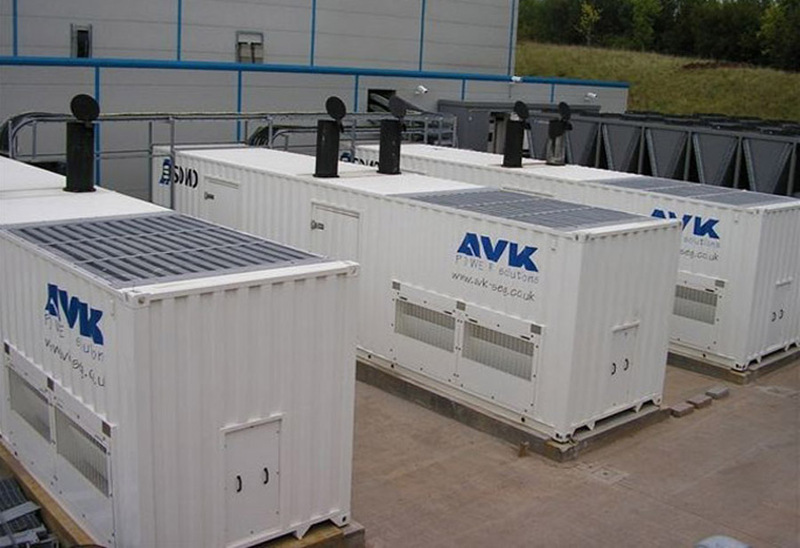 AVK have invested heavily in our own fleet of power rental solutions - from single-trailer mounted generators of 40-500 kVA, to fully self-contained 40ft ISO 'power generation modules' with up to 2MVA of backup power, plus our own containerised UPS systems up to 1MVA power mounted on transportable trailers, we're able to satisfy the critical power requirements that any business may need. Whatever reason your business, project or event may require additional standby power capacity for, be it short-term projects, business relocation, replacement of existing critical power equipment to disaster recovery or contingency planning, AVK hire solutions gurantee you against total power failure. AVK offer competitive, fully flexible power rental contracts – so you’ll always have the power generation and standby systems you need, for as short or as long as required, with the minimum of financial outlay. Also, every AVK hired power system will be delivered, installed and maintained effectively at your premises or chosen delivery location throughout the entire hire period without complication, and at no extra cost - leaving your business, project or event with peace-of-mind that the lights will never go out. AVK supply the Woodward (formerly SEG) range of state-of-the-art Protection Relays for power generation transmission and distribution. AVK provide power protection relays for LV and MV electrical power networks. Our wide range of protection relays incorporate the latest state-of-the-art digital protection for feeder protection, restricted earth fault transformer or generator differential protection for diesel generators. AVK are Europe's leading manufacturer of specialist G59/3 and G99 technology products for grid paralleling applications and have extensive experience in the field with many sites across the UK including AVK installations. A G59 and G99 Loss of Mains Protection Relay is required to safely disconnect generators from the grid in the event of main failure. It is mandatory for all systems producing more than 16 Amps per phase (11kW for a 3-phase system). 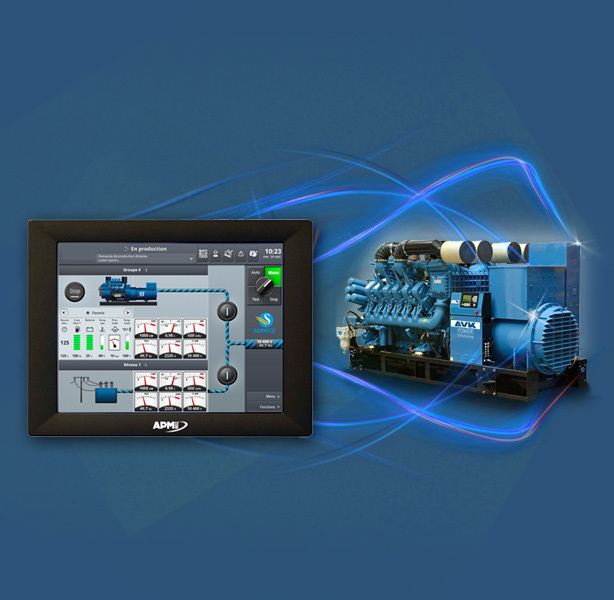 Optimise your critical power system for today, tomorrow, and the future. 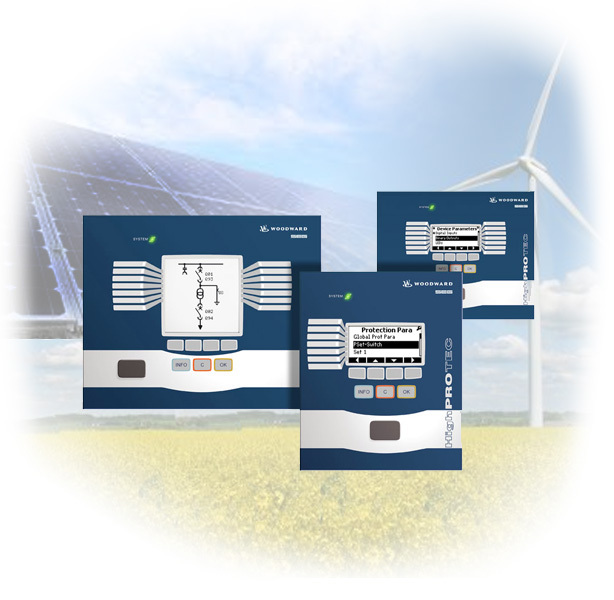 AVK can help you to maintain ultimate control of your power protection. Continuous power systems are a crucial and integral part of a building’s infrastructure; whether it’s a bank, data centre or hospital - if you lose your power supply, you can count on your standby generator system to keep your business running smoothly with zero downtime and risk to revenue. Are you looking for the next move? As the UK’s leading provider of critical power and trusted by many of the UK largest businesses our business is growing. Due to that continued growth both organically and strategically we are now looking for people who bring new ideas to the table – people who are willing to try new things and embrace new methods of working so that we can continue to be the best in our business. Our mission is to “ Inspire employees to Power People ”. Do you have the talent and tenacity to help us deliver critical power solutions to protect our clients power? 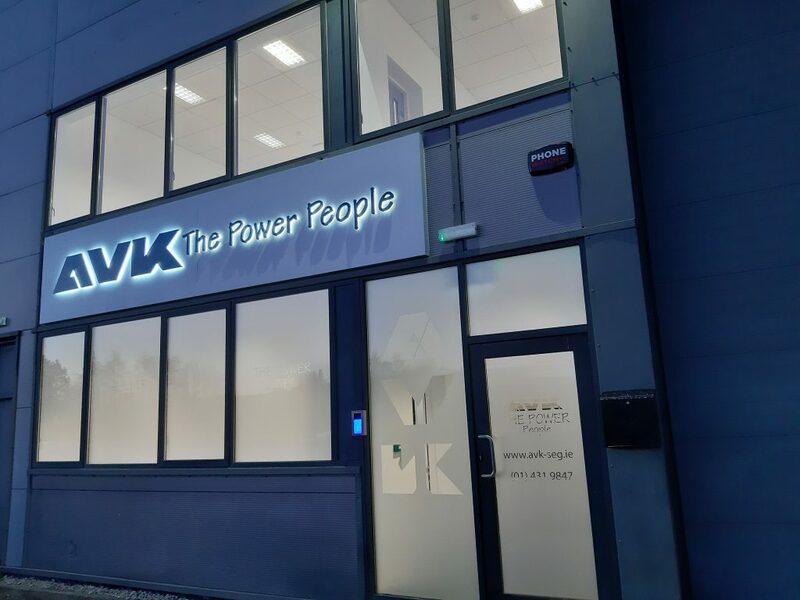 Whether it’s taking pride in our projects, delivering innovative solutions to suit our client’s bespoke power requirements or maintaining their equipment, we work in the AVK way – Teamwork. So If you are looking for a place that values your forward thinking, enthusiasm, and desire to learn, if you are seeking new challenges and rewards along with working with like-minded colleagues eager to take on those fresh challenges as a team, then we could be for you. We take pride in each and every critical power installation. Here's a glimpse of the some of the work we've done helping our clients keep their business operations power protected. We like a challenge. We'd like to hear from you regarding any critical power system queries or questions you have. Feel free to send us a message.